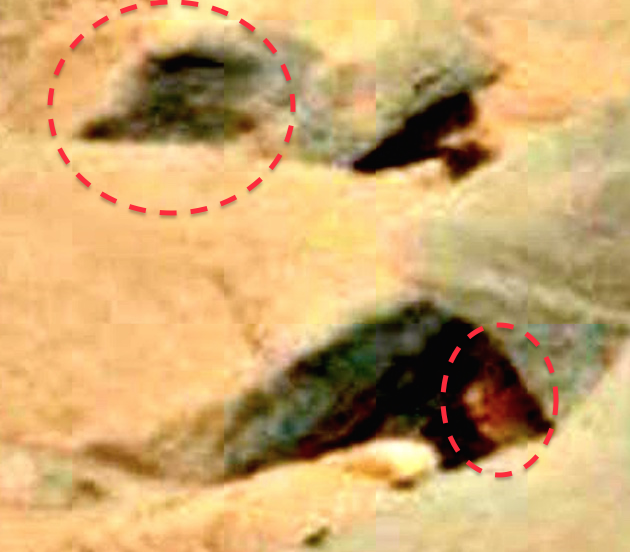 UFO SIGHTINGS DAILY: Two Faces Looking Toward Mars Rover In NASA Photo, Oct 31, 2015, Video, UFO Sighting News. 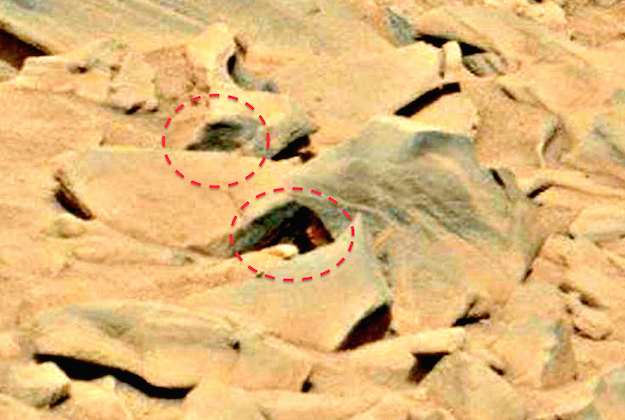 Two Faces Looking Toward Mars Rover In NASA Photo, Oct 31, 2015, Video, UFO Sighting News. 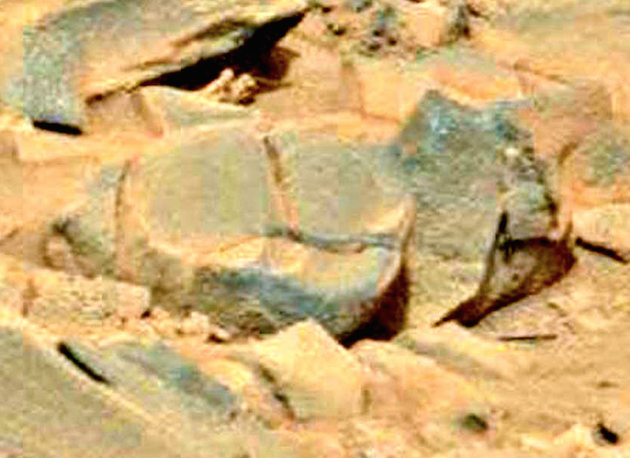 There is nothing funner than looking though a NASA photo and finding alien artifacts. This photo really had a lot to dish out, so I hope you can take it all in. Lets start with why I took a closer look at this photo. There was something reddish inside of a hole. 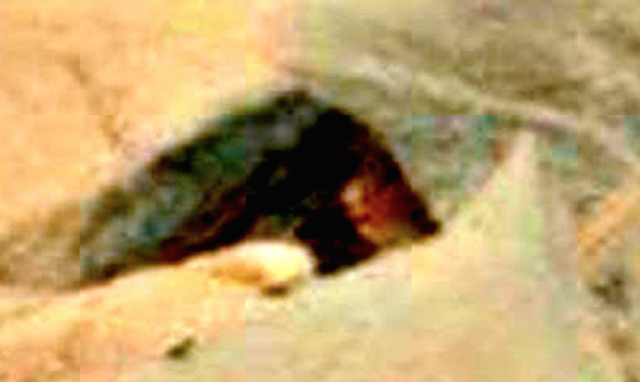 I though maybe it was an animal so I enlarged it 6X and added some light and to my surprise, it was a face of an alien. Then I noticed some smoky shadow above it and stared at it a minute to let my eyes adjust. 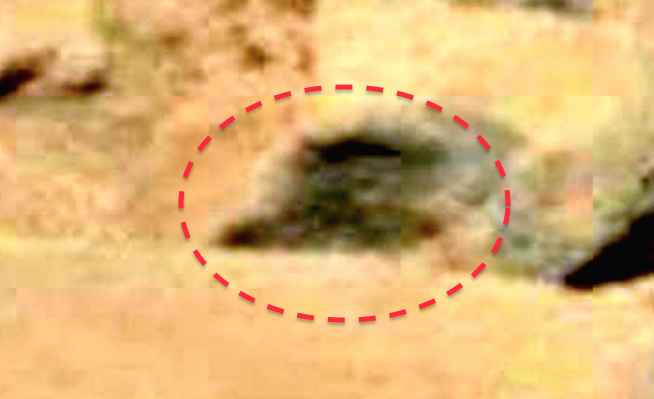 It was a black hairy creature, much like earlier humans. But are these creatures alive or are they ancient carvings? 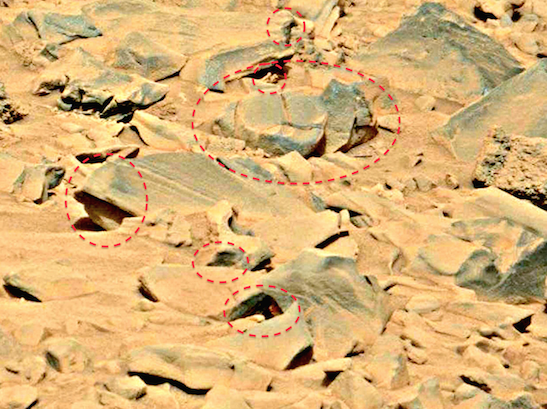 That is impossible to determine for sure unless the rover takes a closer look. NASA has our knowledge at their fingertips, but if they don't wish to use it, thats their choice. I don't think we know more than NASA, but I do think we have similar knowledge about Mars, or in other words, NASA already knows all this stuff from their own discoveries, but really doesn't think its time to share it with the world. If we can prove NASA already knows these things, we can take the to trial for Crimes Against Humanity...for hiding the most important discoveries in human history. Alien civilizations.